The objective of this project was glazing, glazing, and more glazing. Our clients wanted to create a kitchen and entertainment area that resulted in a perfect blend of indoors and out, while increasing their existing space. 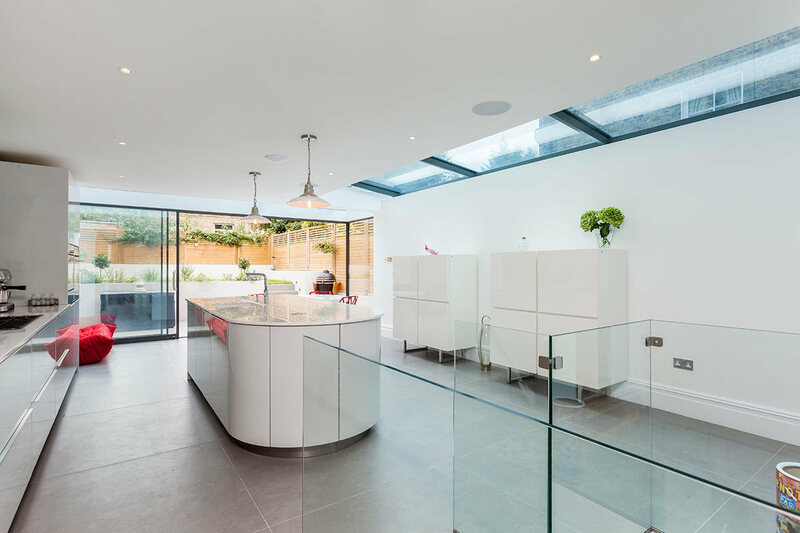 Our solution was to design a glazed wraparound, expanding their home from the rear and side. Granted, using so much glazing does come with it’s own problems. A lot of windows can create what is known as the ‘greenhouse effect’, whereby your home becomes too hot in summer, and too cold in winter. 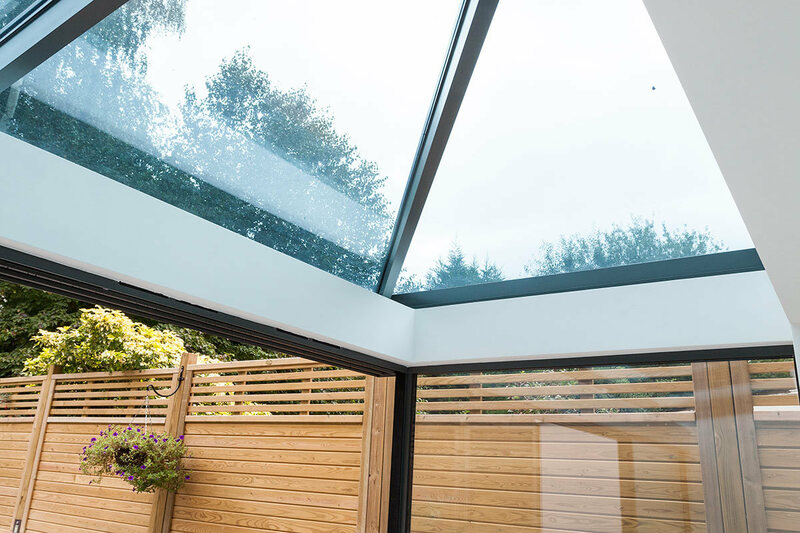 To avoid these issues, we worked with the client to find a supplier who offered solar-controlled and tinted glass - the perfect way to keep their home the right temperature. 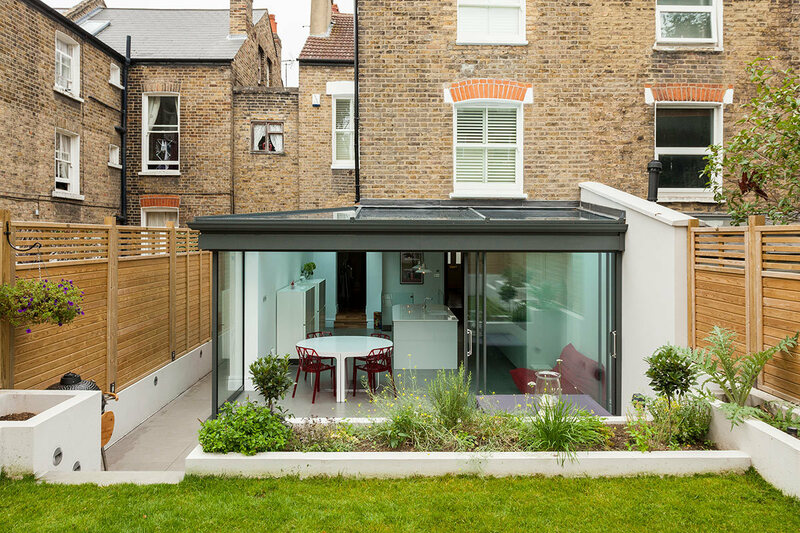 We also added a cantilevered beam to the rear of the property, which allowed us to create a ‘floating corner’, whereby the glass wraps around the building. In order to create this stunning feature, we helped our client find the best local structural engineer, and worked in tandem in the design. And though we specialise in home design, that’s not to say we don’t have green fingers. As this home is centered around the garden, a re-landscaping of their green space was in order. The actual garden area was raised up, forming a stepped structure. 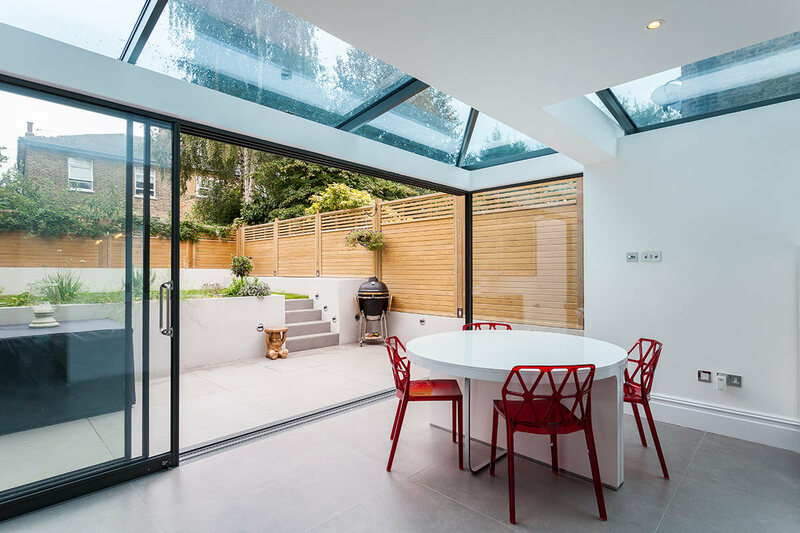 We then had the patio floor mirror that of the kitchen, so with the doors opened, the two spaces flowed naturally into the other. 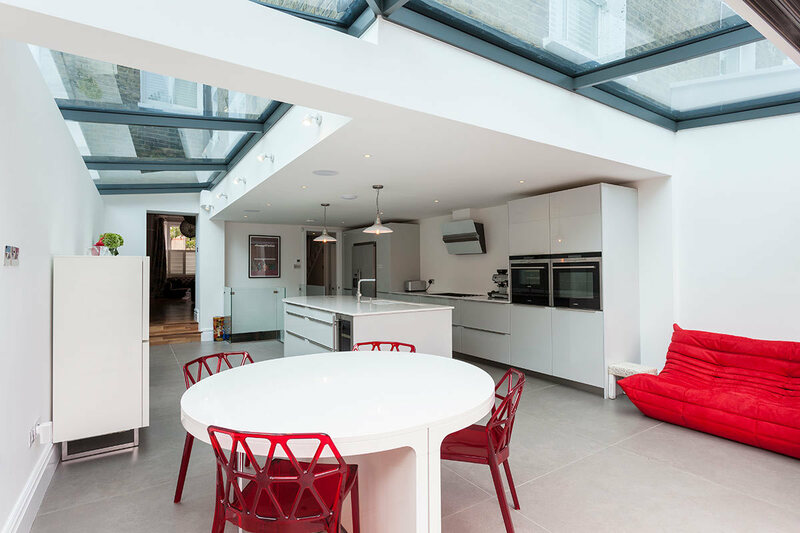 Inside the property, our clients were keen to keep the kitchen area as minimalist as possible. They wanted the space to be the ultimate hub for entertainment, so didn’t want any bulky appliances getting in the way. 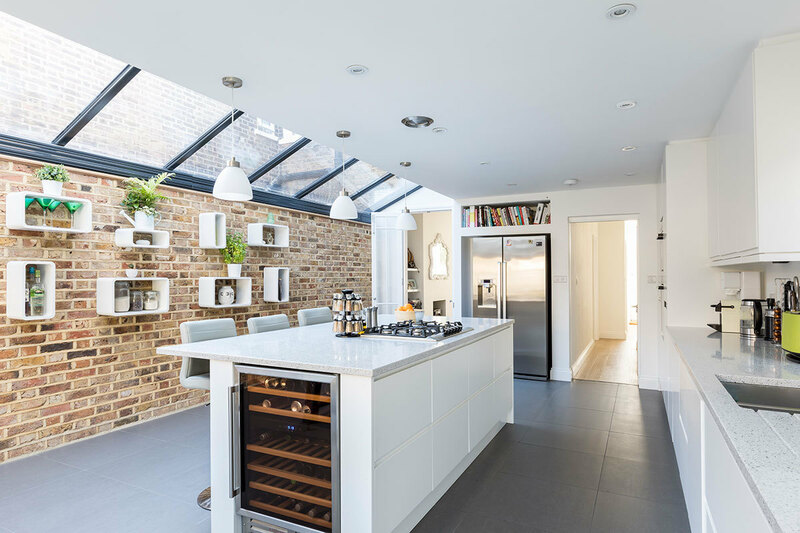 In order to achieve this, we actually created a basement area to function as a utility room, complete with wine coolers and those unsightly appliances. 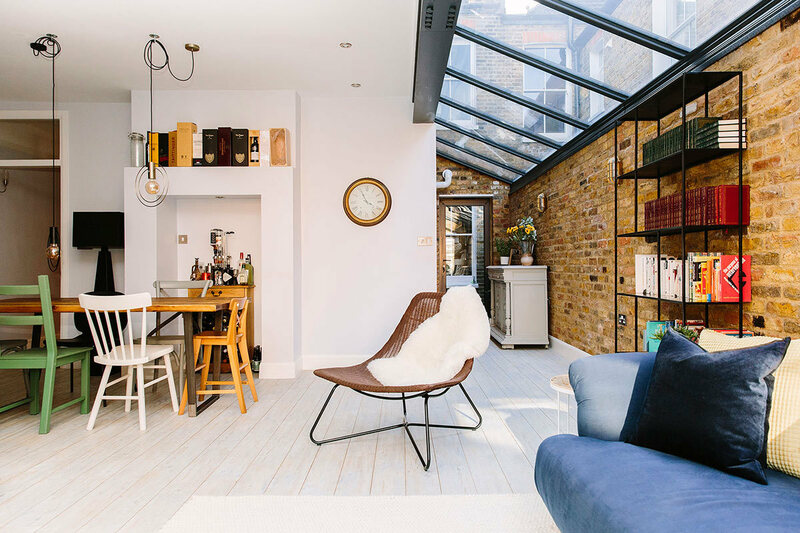 Basement conversions can be a costly addition, but we were able to keep our client within budget by foregoing the need to underpin, through the insertion of a reinforced concrete structure within the existing footprint. 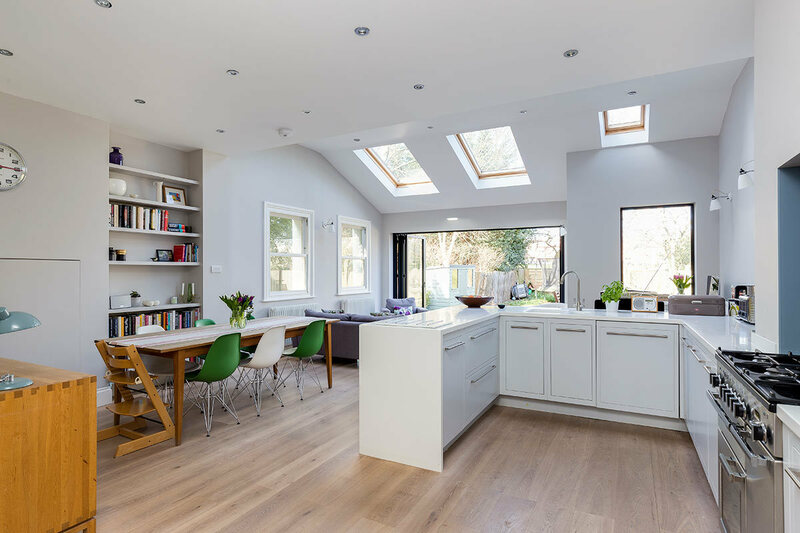 Meaning, for around £40,000, our clients were able to enjoy what is essentially a second kitchen - proving you should never underestimate what can be achieved with good planning and technical knowhow!